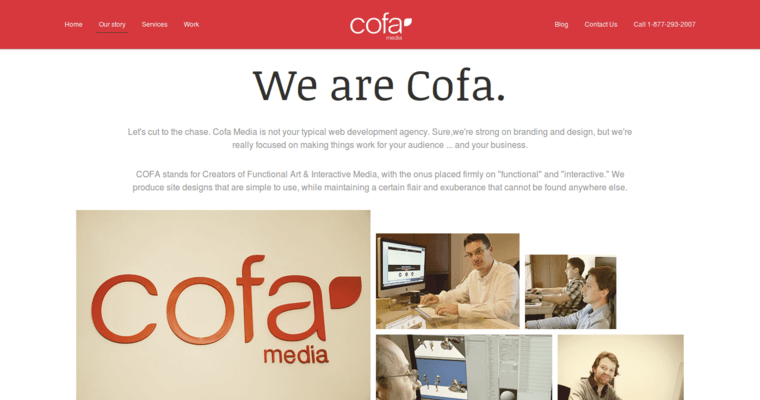 Cofa Media was founded in 2007 and is located in Carlsbad, California. The company focuses on company branding and market strategy development, primarily through the use of functional and interactive media. 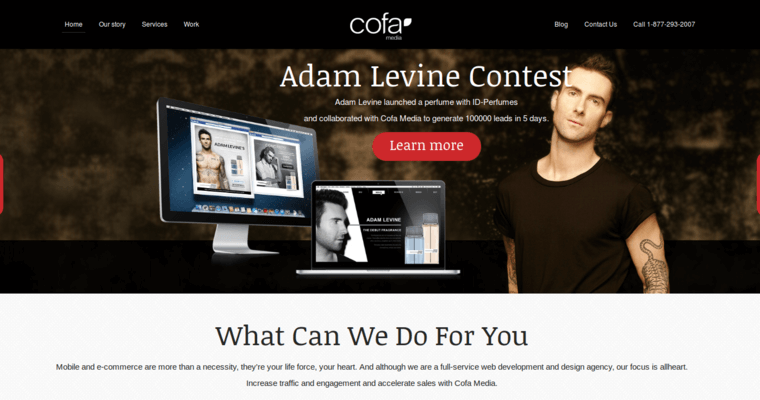 Cofa recognizes that today's most successful marketing strategies incorporate three things; an interactive web-design, smart and easy-to-use e-commerce capabilities and effective mobile apps. With these three facets in mind, Cofa seeks to start customers with an effective branding strategy that includes nae recognition, logo design and product recognition. From there, the company is ready to help its clients develop a digital marketing strategy that emphasizes the clients business goals, an interactive web-design that features visual effects that will appeal to consumers, and a mobile app that integrates effectively with the client's web-site and e-commerce programs. 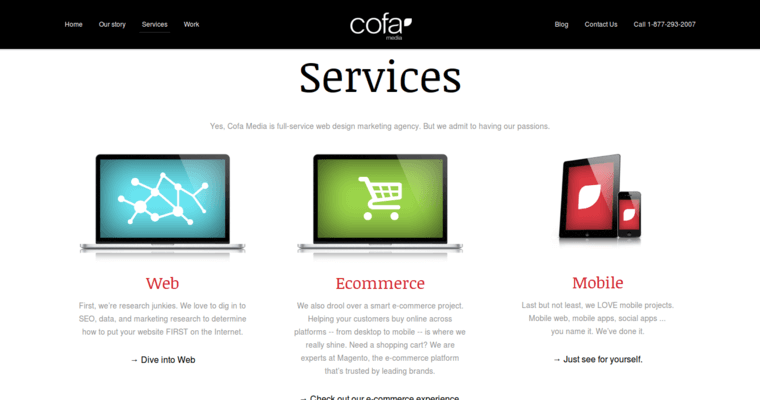 Cofa also helps the client develop a SEO and online marketing program that renders results, and the capability to use online business analysis and stats to report on progress.